Extensive jazz scholarship can frequently result in music that is stuffy, stilted or just too precise. But in the case of Etienne Charles, it has helped him masterfully hone and integrate a project that could have easily been too arbitrary and unwieldy: showcasing “soul music that is Creole at heart.” Charles, who studied under renowned musician-educators Marcus Roberts at Florida State and Mark Gould at Juilliard and is now teaching jazz trumpet at Michigan State, was something of a musical prodigy in his native Trinidad. Released on the cusp of his 30th birthday, Creole Soul is personal, cerebral, spiritual and joyful in its creative exploration of the roots of music and of a man. The four covers among the 10 tunes provide the most concise glimpse into the breadth of his “Creole soul” template. The catchy beat of “You Don’t Love Me (No No No),” which has been popularized in blues, rocksteady and dancehall formats, is given a light, toe-tapping funk-jazz treatment. A relatively straightforward rendition of Monk’s “Green Chimneys,” located in the middle of the program, yields its Caribbean influences more readily by the material around it. An amber-hued take on Bob Marley’s “Turn Your Lights Down Low” brings jazz-reggae into the fold. Best of all is Charles’ version of “Memories,” a tribute to the deceased calypso singer the Mighty Sparrow. Charles dedicates the number to late second-generation Trinidadian percussionist Ralph MacDonald, a forceful presence on his three previous records, and delivers an adroit, soulful performance brimming with love and sorrow. 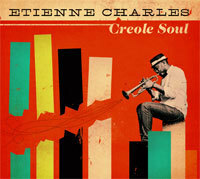 Charles also covers plenty of stylistic ground on his half-dozen originals, which range from the sprightly, Haitian-style kongo groove of “Creole,” to the call-and-response of Martinique on “Roots,” and on through the closing calypso, “Doin’ the Thing.” The core octet is anchored by veterans of previous Charles records, including Guadeloupian saxophonist Jacques Schwarz-Bart on tenor, alto saxophonist Brian Hogans, drummer Obed Calvaire and bassist Ben Williams. They all thrive in fostering this varied but thematically cogent and emotionally resonant Afro-Caribbean vibe.